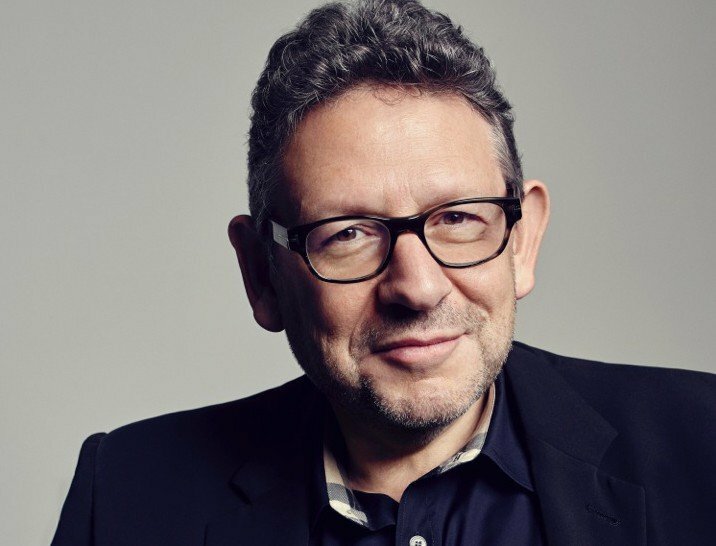 Universal Music Group Chairman & CEO Sir Lucian Grainge has called 2018 a “historic year” for his company – while praising his global UMG team for “accurately anticipating the creative and commercial evolution of music”. In a memo to staff sent today (December 21) and obtained by MBW, Grainge pointed to Universal’s re-signing of major artists like Sir Elton John, the Rolling Stones and Taylor Swift as evidence of the major’s “strong validation of the quality of our global teams, our values and what we can deliver for our artists”. He commented that, thanks to UMG artists like Drake, Ariana Grande, J Balvin and Helene Fischer, Universal was “without question, the most successful company in the history of the music industry”. You can read Grainge’s memo in full below. It is with enormous pride that I can begin my end-of-year letter by reporting that UMG continues to be, without question, the most successful company in the history of the music industry. By every conceivable metric—whether commercial or creative—2018 was a historic year for our company. UMG artists held the top five positions—and a staggering 14 of the top 20—on the Top 100 Global Songs chart on Apple Music for the year. Drake was No. 1 on both the Top Global Albums chart and the Top Global Songs chart. Globally, UMG had every one of the top five tracks, the top four artists and the top three albums on Spotify in 2018. Drake was the most-streamed artist, had the most-streamed track (“God’s Plan”) and the most-streamed album (Scorpion), Ariana Grande was the most-streamed female artist of the year and J Balvin was the most-streamed Latin artist. In the U.S., Taylor Swift’s reputation was the No. 1 album on Billboard’s Year-End Chart. In addition, UMG had the top three albums, six of the Top 10 songs (including No. 1) and six of the Top 10 albums. In Germany, we had all three of the best-selling albums of the year with Helene Fischer’s self-titled album, originally released in 2017, at No. 1 for the second consecutive year, Bonez MC & RAF Camora at No. 2 and Gzuz at No. 3. Universal Music France had the most-streamed artist (Damso) and most-streamed track (Vald’s “Désaccordé”) on Spotify France, as well as the most-streamed album of the year (Dadju’s Gentleman 2.0) on Deezer France and Apple Music France. UMG had four of the Top 5 most-streamed artists in the U.K., according to the Official Charts Company, with Drake, Eminem, Post Malone and Ariana Grande, and we had six of the Top 10 albums. Queen’s iconic single “Bohemian Rhapsody” became the world’s most-streamed song from the 20th century, as well as the most-streamed Classic Rock song of all time. UMPG was named 2018 ASCAP Pop Publisher of the Year, signed new global deals with Billie Eilish and many other rising stars, and renewed agreements with Elton John, Billy Joel, Paul Simon, Halsey and Post Malone, among others. UMPG reinforced its position as the global publisher of choice for film and TV studios by securing landmark deals with Disney Europe, Lionsgate, Paramount and Legendary Pictures, building upon its existing relationships with Amazon, DreamWorks Animation, HBO, Bad Robot, NBCUniversal Television, Sesame Workshop, Universal Pictures and Warner Bros. Entertainment, among others. And that’s just a handful. How did we do it? Our efforts—your efforts—over the past several years laid the groundwork for this incredible performance. Fundamental to this success is our unwavering commitment to our artists. As disruptive forces continue to upend traditional ways of doing business, we’ve remained determined to best serve our artists by making investments, by taking risks, by actively shaping our future by continuing to transform our company. We’ve stayed on top by accurately anticipating the creative and commercial evolution of music, and in doing so, we’ve proved time and time again that we are the best partners for artists at every stage and in virtually every aspect of their careers. As one indication of that commitment, this year we signed or re-signed some of the industry’s most iconic artists—Elton John, The Rolling Stones and Taylor Swift, among others—in most cases covering many aspects of their careers beyond recorded music. The fact that these artists chose UMG as their partner is strong validation of the quality of our global teams, our values and what we can deliver for our artists. Strengthen our leadership as a producer of music-based audio-visual content. 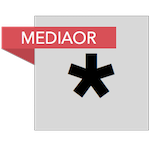 Increase our proficiency in data and insights to provide artists with the most effective tools to monitor and enhance their performance on platforms all around the world. Leverage company-wide information to build more fan-centric capabilities that will enable us to directly address consumers—for the benefit of artists and fans alike. Continue to grow the services we currently offer artists—recorded music, publishing, brand management, merchandising, live, sponsorship—while adding new ones. Accelerate our presence in high-growth potential markets. The reason for my confidence in our ability to continue our transformation is simple. It’s the same reason behind our remarkable success: we are not monolithic. UMG is a collection of dynamic companies created by visionary entrepreneurs, each sharing a common belief: that an artist they discover will change culture. That passion for bringing to the world recording artists and songwriters whose talents and potential others often don’t recognize, is at the very core of what we do and what we always will do. While most companies try to develop unified or formulaic processes, we focus on invention, on trying new things. And even when we’re working toward coordinated goals, our teams operate with a high degree of autonomy and independence, creating new approaches, avoiding trite formulas, all while remaining competitive yet mutually respectful. Taken together, these qualities are the foundation of our culture, and ultimately our greatest advantage. They will enable us to continue to evolve, creating global opportunities for our artists far beyond what other platforms or companies will be able to achieve. We will continue to set the bar for success in the music industry, creating products and experiences that will inspire generation after generation of music lovers. In closing, let me say thank you for your incredible work this year. We’ve broken so many records, defied so many odds and achieved so much on behalf of our artists that this will surely be remembered as a pivotal year in the history of UMG and the music industry. But let’s be clear: none of this could have happened without you. Thank you for your dedication, your passion, and your willingness to embrace change and innovation. Together we are building an incredible future for ourselves and for our artists. Wishing you, your family and loved ones a joyous and peaceful holiday.